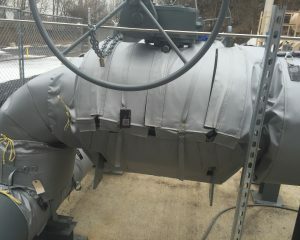 Ball valve insulation covers are another important member of Thermaxx Jackets standard hot valve insulation product line. Ball valves are a type of quarter turn valves, a class of valves which are controlled manually by turning a handle 90 degrees. There are many types of ball valves, including three way and four way valves and top entry, welded, single body, three piece body, split body, and top entry ball valves. The characteristic which distinguishes ball valves from other quarter turn valves is the spherical disc, appropriately called the “ball”, located inside the ball valve. The ball has a hole or port in the middle, and when the handle of the valve is turned on, the hole is aligned to allow fluid to pass; likewise, when the ball valve handle is turned to the off position, the ball prevents flow. While ball valves are not recommended for regulating specific amounts of partial flow, ball valves are excellent for reliably ensuring flow can be turned completely on and off, and are often found in emergency shut-off applications. Ball valves are noted for their durability and ability to withstand high volume, high pressures, and high temperatures. Ball valves can be made of many materials, but, in most heavy industrial applications, metals such as brass and steel are typically used for the valves body. This fact, combined with the fact that many ball valves operate in high temperature systems (which may often exceed 400°F) means that many ball valves can be a significant point of heat loss. 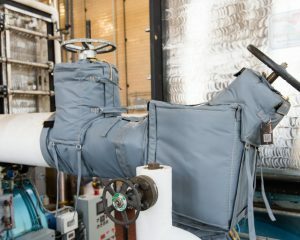 Traditional stay-in-place insulation is not practical for ball valves due to their unique shape and the occasional need for maintenance activities such as tightening the stem nut or seat glands. 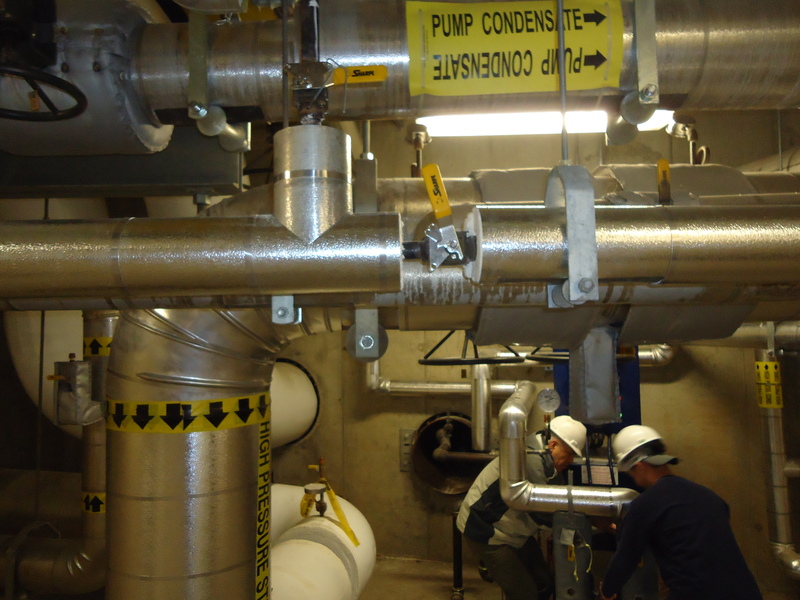 Removable ball valve insulation covers are often recommended to help control heat loss. However, not all insulation covers are created equal. 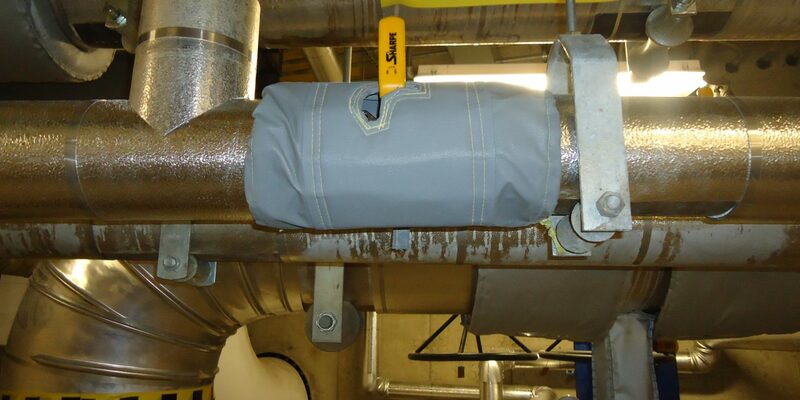 If you are concerned about heat loss from ball valves in your facility, look to the removable valve insulation experts, Thermaxx Jackets. The Right Fit: An opening for the handle to permit full uninhibited valve functionality. Thermaxx Jackets’ standard line of ball valve insulation covers are available for class 150 and 300 valves, in sizes ranging from .5 NPT to 24 inches, for 3 ranges of temperature applications up to 600°F. Custom designed insulation jackets are also available to fit your specific needs. For example, we are experienced in custom designing jackets for ball valves that are attached to other uninsulated components. 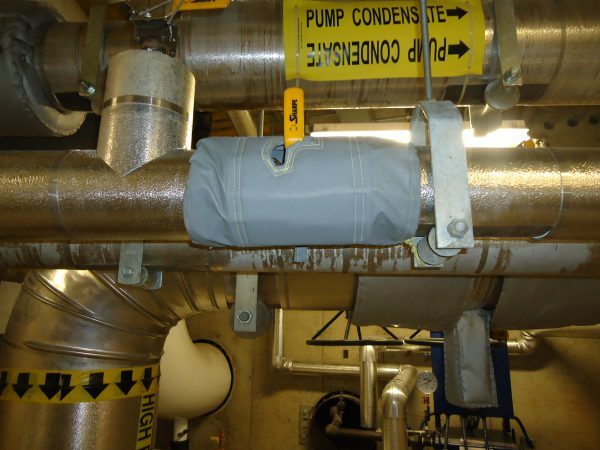 Convenient: Velcro closures around the split and top to permit easy removal and replacement of valve insulation, which can be done in a matter of minutes. A seal flap, an uninsulated 2-inch flap with tie cord that prevents the jacket from shifting or rotating, also keeps the jacket in place to ensure tightness of fit. Cost effective: Thermaxx ball valve insulation covers may be customized, providing you with the correct item at the right price. High quality: Like with all Thermaxx insulation jackets, our ball valve insulation covers are backed by an industry-leading 5 year guarantee. 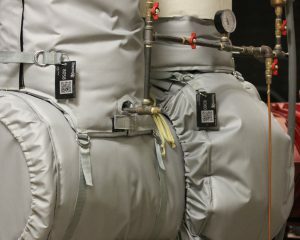 We stand behind our ball valve jackets, because they are meticulously designed and crafted to remain effective under harsh conditions for extended periods of time. Got questions? 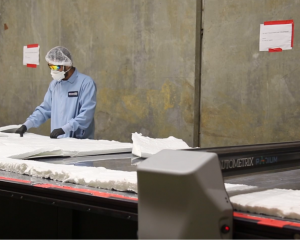 We’re happy to answer any questions you have about our ball valve insulation covers or any of our many other Thermaxx Jacket solutions for your facility. Call us at (203) 672-1021 or contact us for more information!